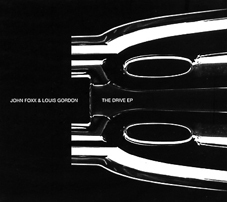 The Drive EP was released for Foxx and Gordon’s 2003 tour, and supporting dates with The Human League. It features both full-length and single edits of "Drive" and "Broken Furniture" from the Crash and Burn album, as well as three excellent non-album tracks; "Underwater Dreamsex", "Making Movies" and "Your Shadow". Although The Drive EP is no longer available, copies frequently appear on E-bay and it is well worth tracking down.